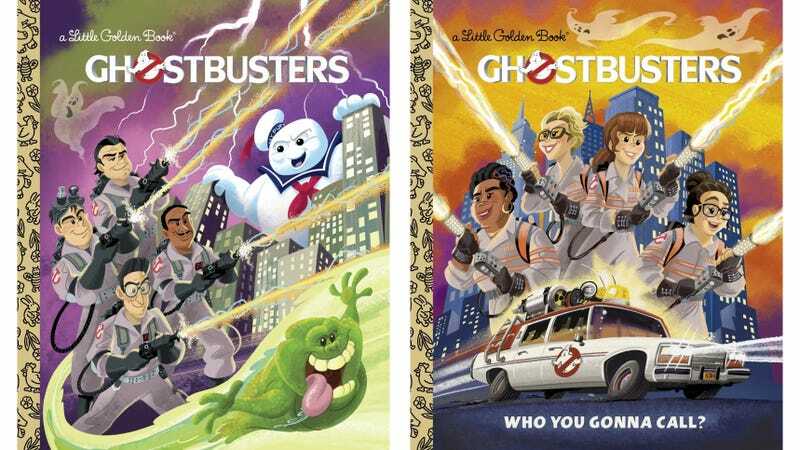 Having apparently run out of fairy tales to retell, those gilded Little Golden Books that probably graced your bookshelves as a child have two new tomes coming out in the fall that adorably tell the stories of both the original and new specter-battling Ghostbusters. This isn’t the first time the Little Golden Books have taken inspiration from Hollywood. In fact there’s now an entire series of them dedicated to the original Star Wars films and characters from that universe. But you’ll have to wait until September 13 to grab these two, written by John Sazaklis, illustrated by Alan Batson, and targeted at young readers between the ages of three and seven. You can pre-order them from Amazon now, however, at five bucks for the new team that hasn’t hit theaters yet, and four bucks for the originals that you’ve probably been watching for decades.